Auto accidents and related lawsuits represent a high severity potential for sports and recreation organizations. Therefore, a Business Auto policy should be given serious consideration. A Business or Commercial Auto policy should be written to cover every owned, non-owned, and hired autos of the sports or recreation organization. An owned auto is one that is titled in the name of the sports or recreation organization. A non-owned auto is one that is owned by an employee or staff member but used to run errands or make trips on behalf of the organization. A hired auto is one that is rented from a car rental company or borrowed. Each state’s financial responsibility laws set minimum insurance requirements for owned vehicles. Most require the owner of the vehicle to provide proof of Auto Liability in an amount of $30,000 per person, $60,000 per accident, and $25,000 property damage. Some states require higher limits. In addition, many require Uninsured Motorists and Personal Injury Protection/Medical Payments (no fault) coverage. Auto Liabilit y: $1million Combined Single Limits. Auto Liability pays for bodily injury and property damage claims from injured third parties, such as passengers pedestrians, and damage to other vehicles, Since auto accidents tend to result in serious injuries to multiple passengers, it doesn’t make sense to carry a limit lower than $1 million. If available, combined single limits are preferred since combined single limits offers more flexibility in the allocation between bodily injury and property damage and multiple injured persons. Uninsured Motorists: $1 million. 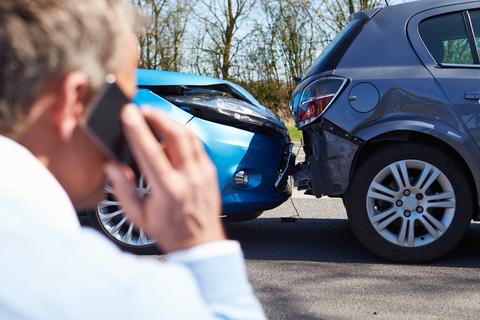 Uninsured Motorists reimburses bodily injury and/or property damage when the fault is that of an uninsured driver. The Uninsured Motorist limit will reimburse the insured for the amount that the insured is legally entitled to recover if the negligent party had carried insurance. 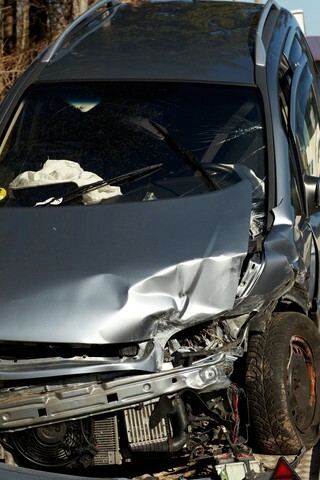 It is recommended that the Uninsured Motorist limit should match the Auto Liability limit. Underinsured Motorists: $1 million. Underinsured Motorists for bodily injury and/or property damage when an underinsured motorist is at fault. The Underinsured Motorist limit will reimburse the insured for the amount that the insured is legally entitled to recover had the negligent party carried insurance. It is recommended that the Underinsured Motorist limit should match the Auto Liability limit. Personal Injury Protection/Medical Payments (no fault): $2,500. Personal Injury Protection or Medical Payments compensates the injured insureds for medical expenses, lost wages, etc. without regard to fault. Many states mandate a minimum limit, but higher limits may be purchased of an additional premium charge. Collision: Actual Cash Value of Auto. This pays for damage to the covered auto in the event of a collision with another object or a rollover. Comprehensive: Actual Cash Value of Auto. This pays for damage to the covered auto caused by anything other than a collision. Note: Many states have versions of no-fault coverage, a discussion of which is beyond the scope of this article. In addition, a discussion of other, less important coverages such as Towing and Labor and Rental Reimbursement has been omitted. A sports or recreation organization can be vicariously liable for auto accidents resulting from non-owned vehicles owned by employees or volunteer staff used to run errands on behalf of the organization. Non-owned Auto Liability coverage protects the sports organization but not the individual driver, who would need to look to his or her own Personal Auto Policy for protection. A sports or recreation organization and its driver can be liable for auto accidents resulting from the use of rented or borrowed (ex: church van) vehicles. Hired Auto Liability coverage protects both the sports organization and its authorized driver while using such vehicles on official sports organization business. Many insurance carriers in the sports and recreation niche are reluctant to provide Non-owned and Hired Auto Liability for member insurance programs. This is due to the severity risk of a serious auto accident involving multiple injuries and high medical bills. The risk is even more difficult to underwrite because most sports organizations don’t run motor vehicle record checks on its drivers or provide driver training. It is customary for insurance carriers to attempt to control the severity risk under Non-Owned and Hired Auto Liability by excluding the use of 15-passenger vans from coverage and limiting coverage for the transportation of participants. Both of these areas represent a significant severity risk due to the possibility of serious injuries to multiple passengers. It’s important to note that Hired Auto Liability does not extend physical damage coverage (comprehensive or collision) to the vehicle itself. As a result, separate coverage arrangements must be made either through the purchase of Hired Car Physical Damage from the insurance carrier or through the Collision Damage Waiver from the rental car company. This matter is also complicated by the possible availability of similar coverage when using certain credit cards for payment of a rented vehicle. The decision on the best way to insure the physical damage exposure for rented vehicles is a complicated matter and beyond the scope of this article. An insurance agent should be consulted prior to renting a vehicle.